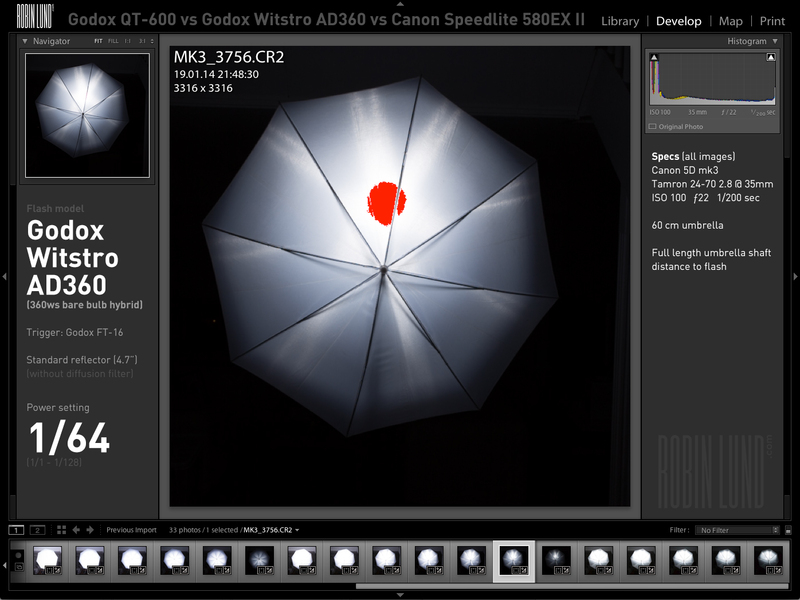 How does the studio strobe, the speedlight and the hybrid compare with regards to power? 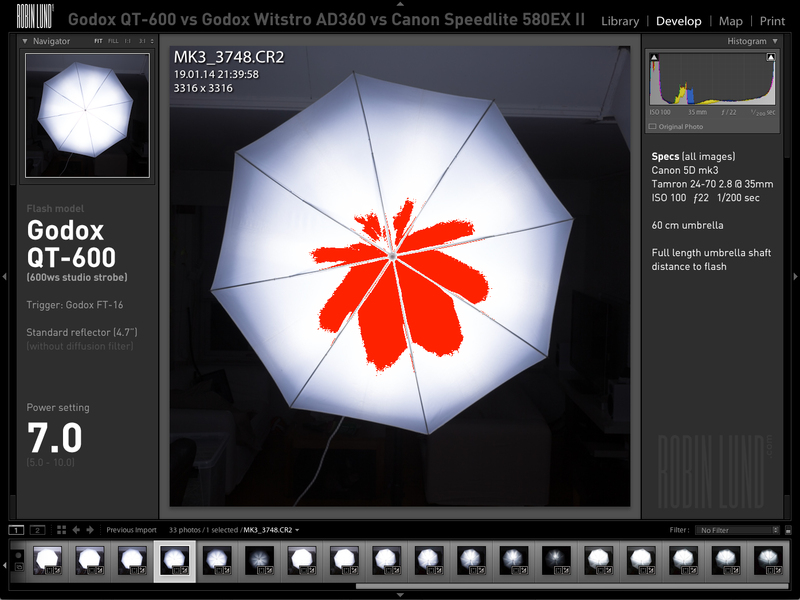 Despite an ok collection of flashes (3x 600ws studio strobes, 2x 580EX II, 2x YN560, 1x YN565 plus some more), I got a little panicked when a job requiring 4 studio strobes came to me. 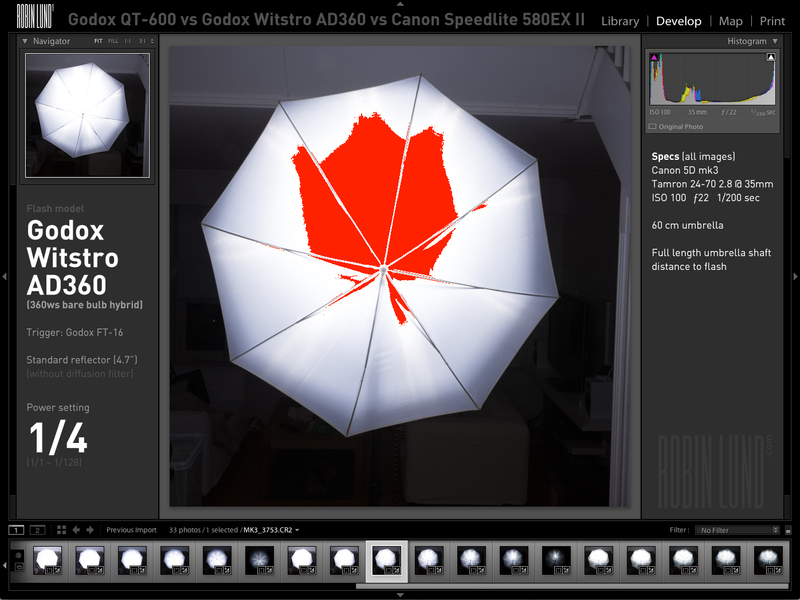 A photographer friend loaned me a strobe for the job, but I also ordered the latest and newest in the world of flash: the Godox Witstro AD360. 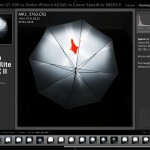 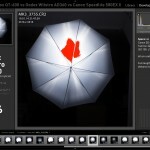 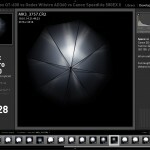 In short, the Witstro flashes are a hybrid between a speedlight and a studio strobe. 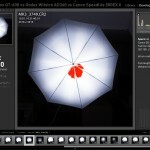 There are currently two models Witstro available, the AD180 and the AD360. 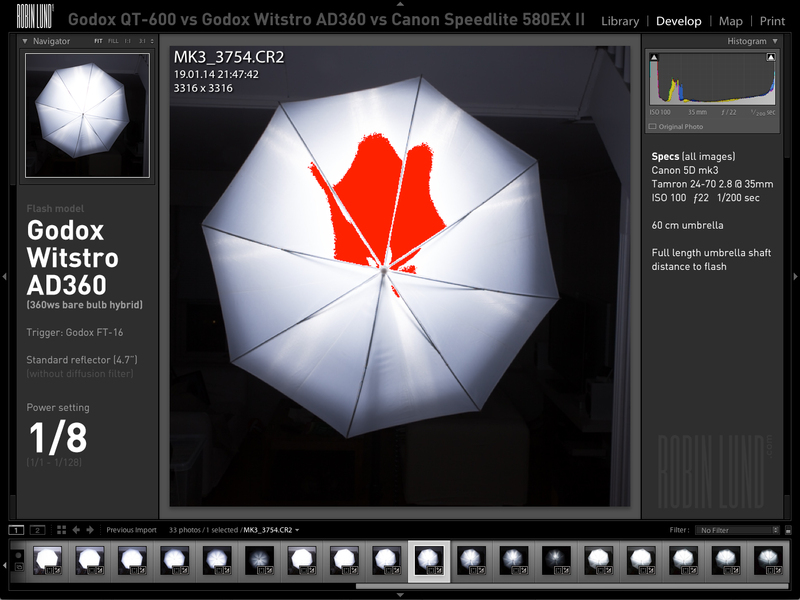 They both have much of the power of the studio strobes at the same time as they are a lot more portable. 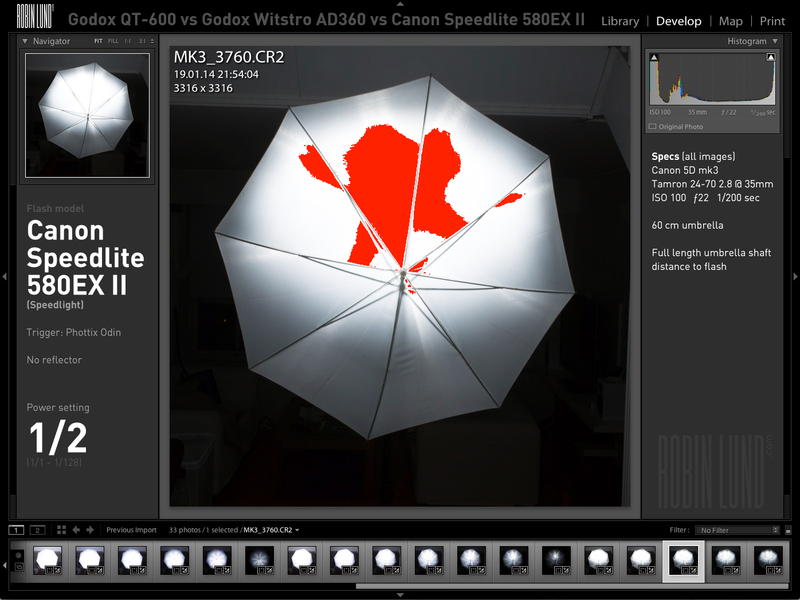 They compromise by being bigger and heavier than a speedlight, they do not have TTL (yet) and needs a separate power pack to operate. 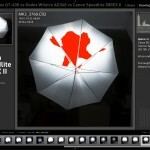 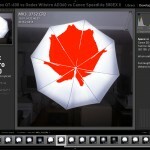 They also lack the model light that a studio strobe has. 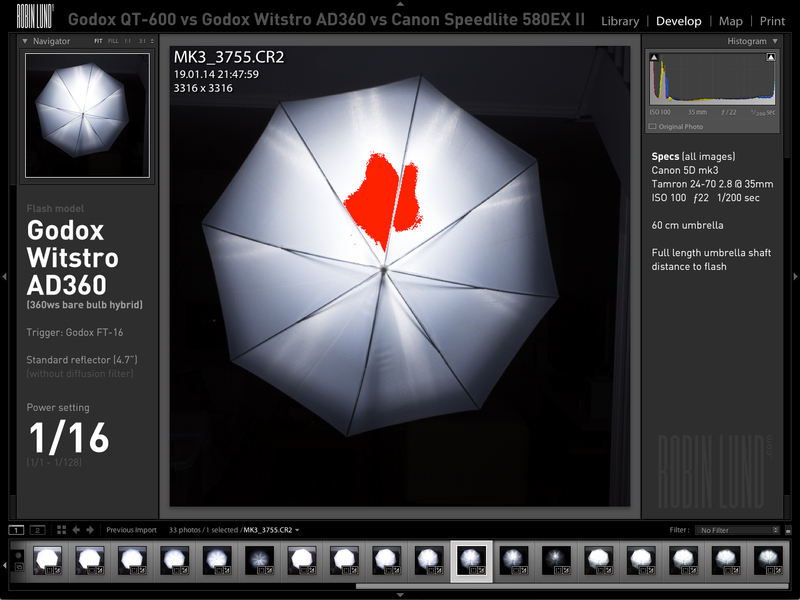 I wanted to know how the flashes compared to each other with regards to power output, so I set up a little test. 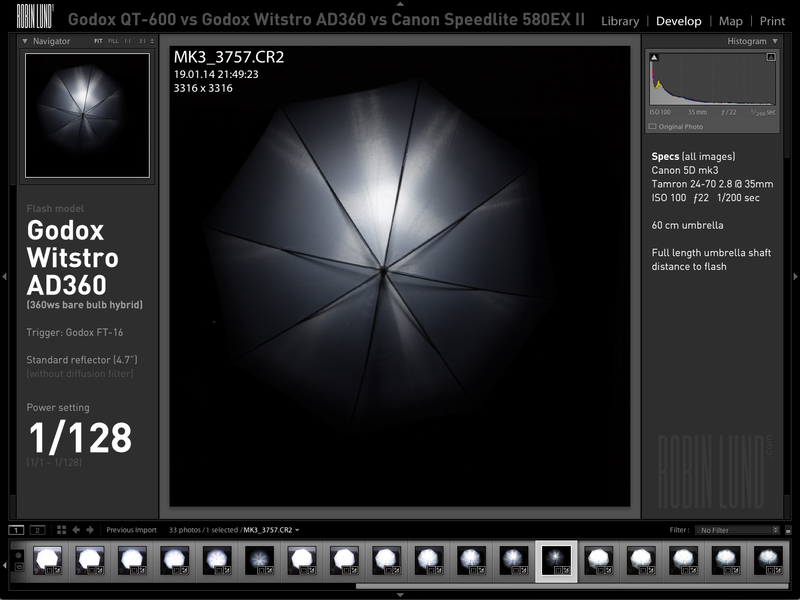 All the flashes where fired with the same camera settings, the same distance, etc. 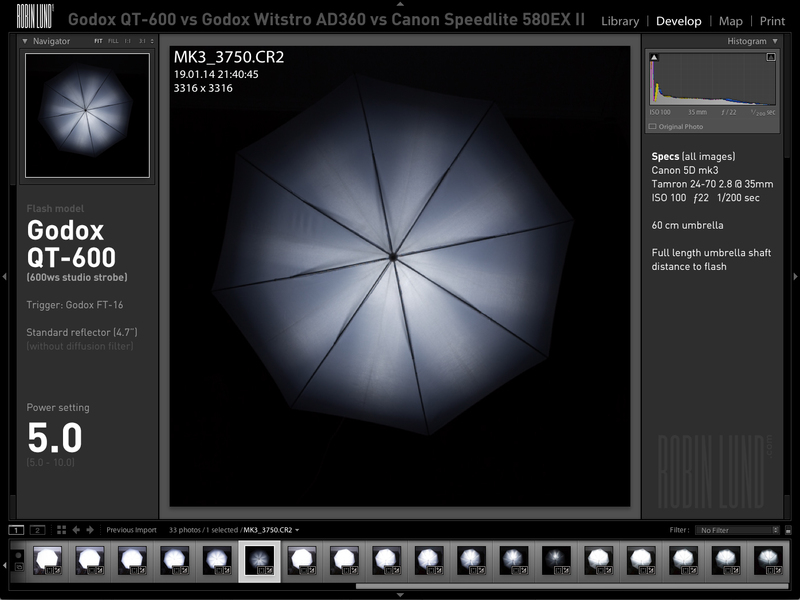 Thus I got some data for a comparison. 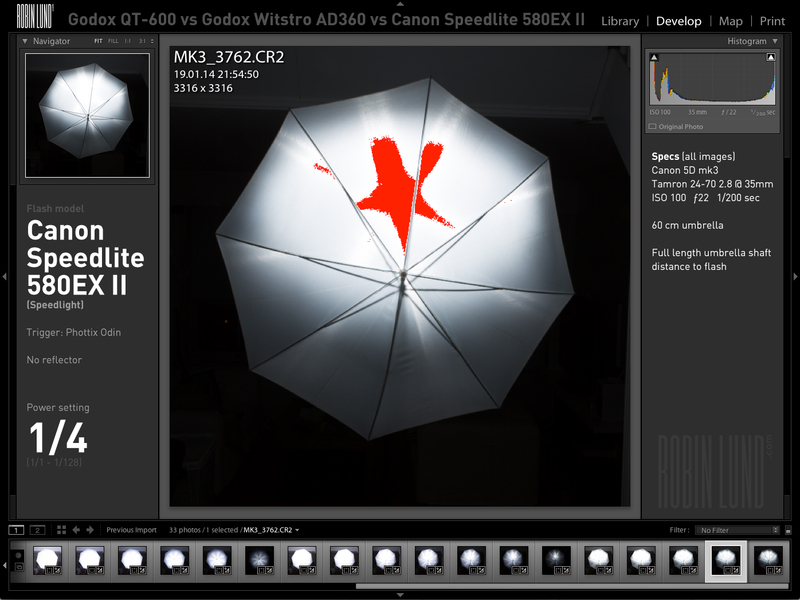 The test revealed that the Canon Speedlite at full power equalled the Godox Witstro AD360 at 1/4 power and the Godox QT-600 at power setting 7.0 (1/8?). 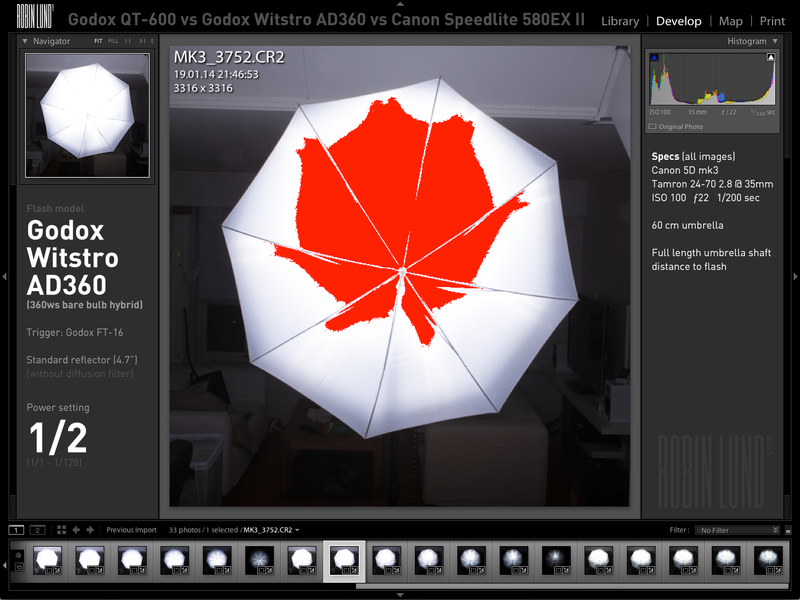 This was kind of expected. 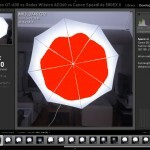 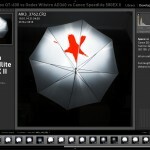 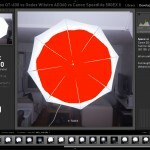 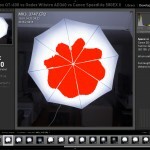 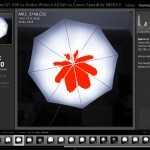 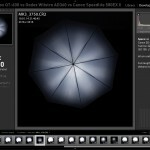 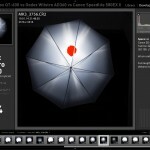 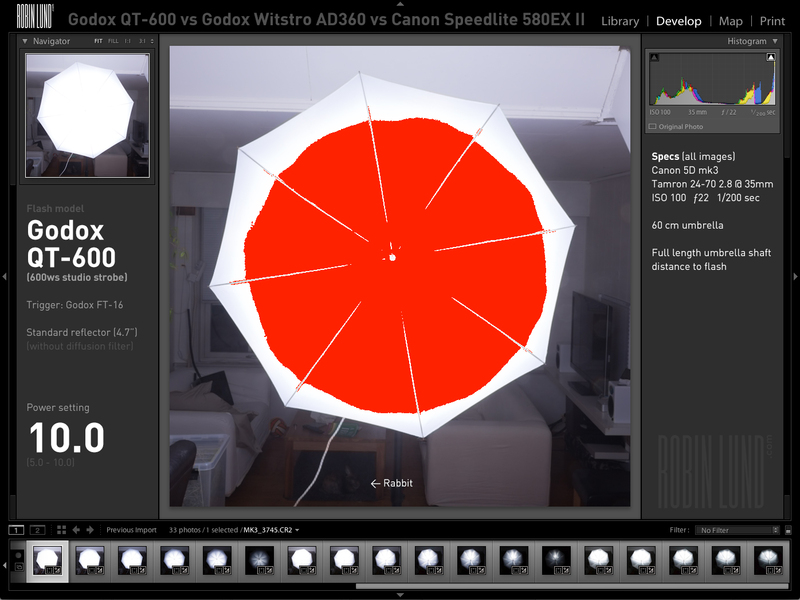 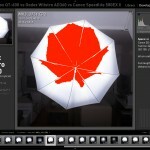 The AD360 is 360 watt-seconds, the QT-600 is 600 Ws while the 580EX II is supposed to compare to 100 Ws. 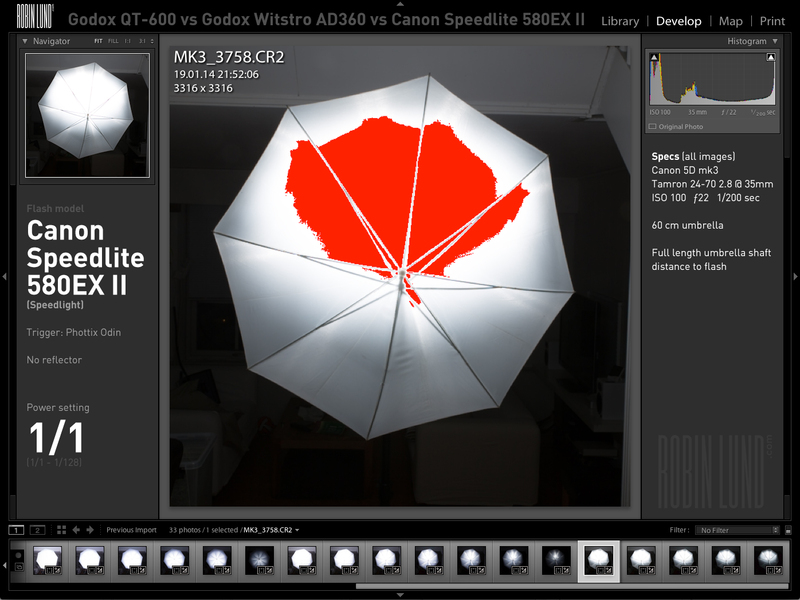 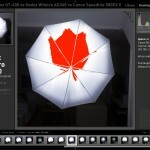 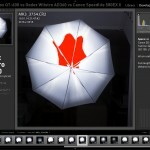 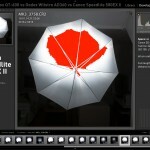 The test also show that with an umbrella mount, the speedlight and the Witstro is less centered than the studio strobe. 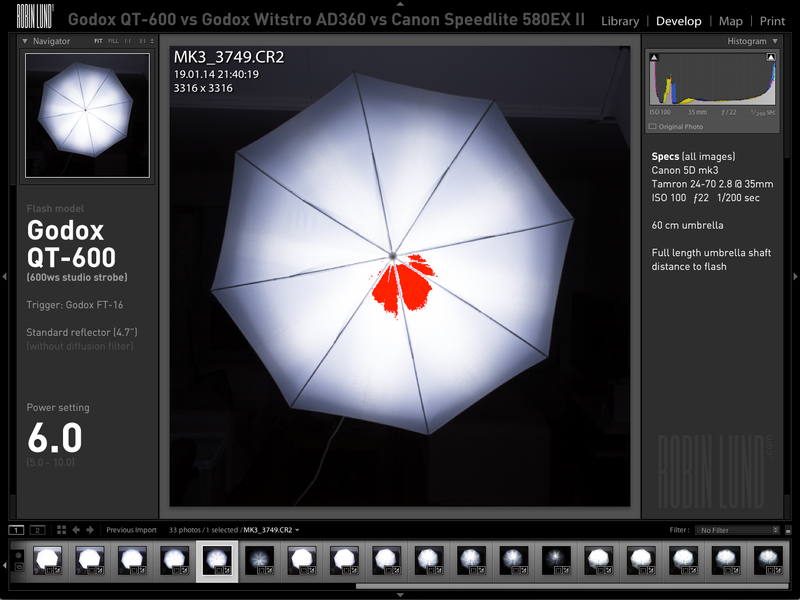 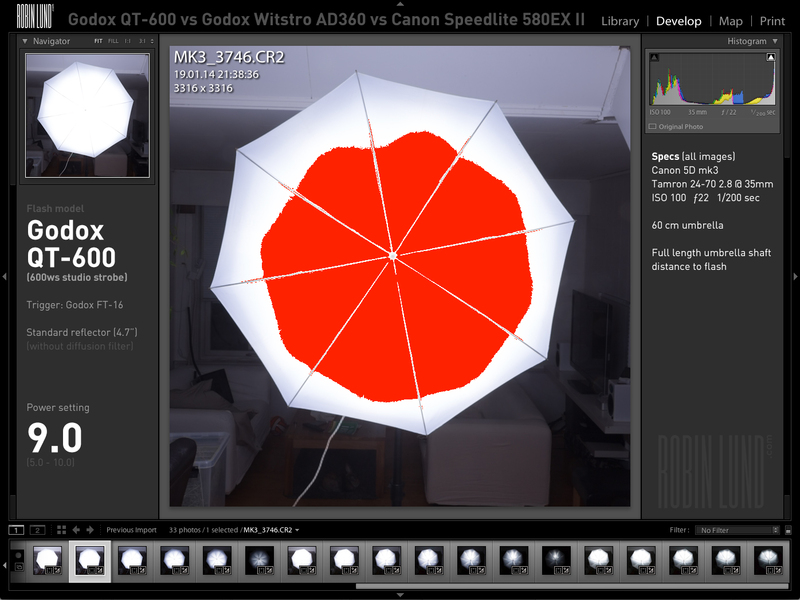 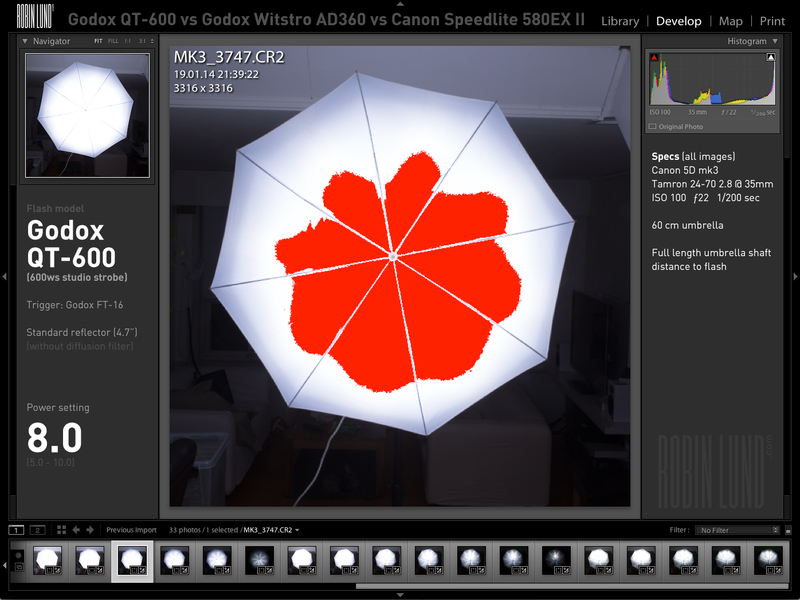 What I had not expected was that the 580EX II is noticably warmer than the two Godoxes with regards to colour temperature. Unfortunately that means they cannot be used together without some gels to compensate. 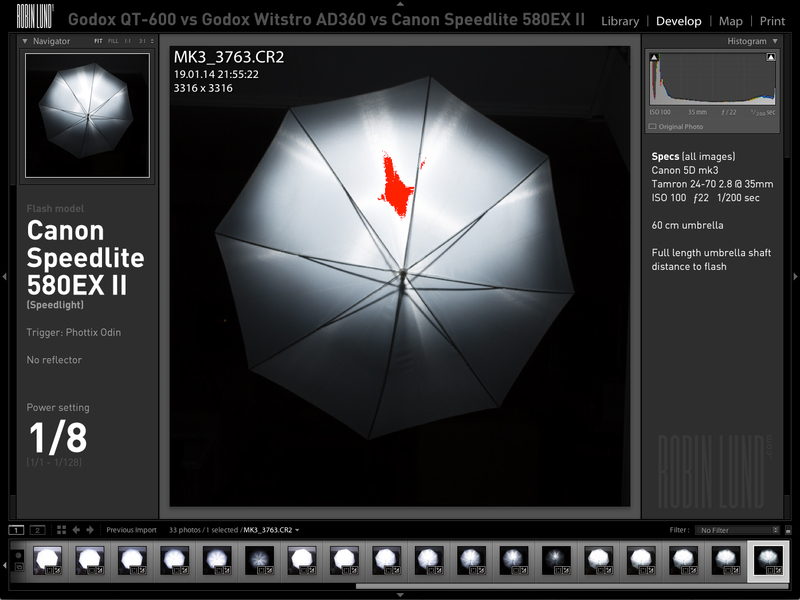 Godox FT-16 triggers where used for the Godox flashes, while the 580EX II where triggered by Phottix Odin.